Pork Chop Bone-in Frenched, Prime 9oz. Select from other Pork Products Ham Pork Tenderloin Baby Back Ribs Fully Cooked in BBQ Sauce Baby Back Ribs Un-Cooked Pork Filet Boneless, Prime Pork Flat Iron Pork Chop Bone-in Frenched, Prime 12oz. Nutritional Values presented are intended to be used only as a guide. The information was compiled from manufactures and available food manuals. It is important to note that these values may be changed by the manufacturers without notice, and that the actual food value varies depending upon the size of the portion consumed. 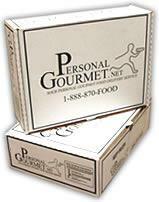 Personal Gourmet has set the standard for portion controlled flash frozen vacuum sealed portions that are guaranteed for one year in your freezer, delivered directly to your front door. 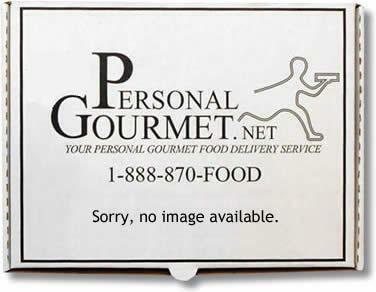 Personal Gourmet delivers free of charge* anywhere in the greater LA and San Diego metropolitan areas. Nation wide shipping is also available. A shipping and handling charge will apply.